Weight Training Sets How many? Weight training sets, how many is enough? Opinions vary, I have seen this debate rage on for over 30 years. How many are the right amount for growth and how many are counterproductive? Well... first respect should be given to the fact that we are all different. This article will look at varying set ranges based on experience and lifting level, and use these to speed progress towards your athletic goal. 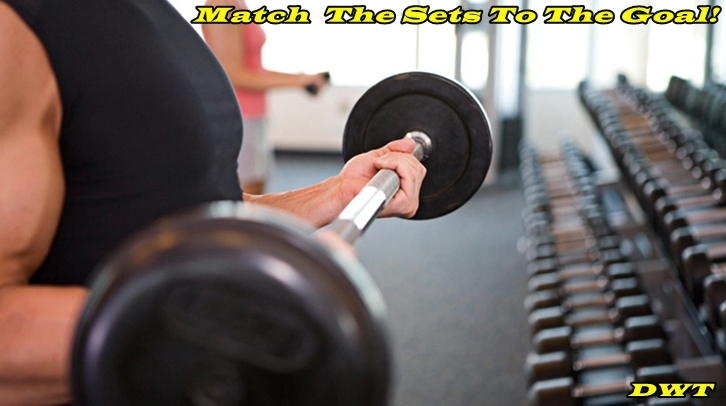 For those of you that are new to weight training; the 'set' is only a term used to categorize each bundle of reps. E.g., if you perform 8 - 10 reps in any training exercise, this rep bundle is referred to as a (set). Dividing your exercise reps for each muscle group into bundles called sets was created out of necessity in weight training. This simply helps the weightlifter/bodybuilder, etc. to easily keep track of reps and sets, as the workout progresses and fatigue sets in, it's easy to forget or lose track... this just simplifies where the athlete is, in regards to his or her sets throughout the workout duration. If your new to weight lifting, or an intermediate bodybuilder, the whole set issue can become confusing. Often I will see bodybuilders, magazine editor’s even personal trainers have definite answers as to how many weight training sets are enough? 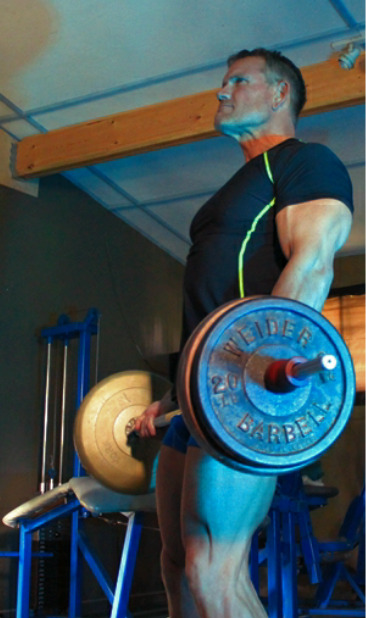 As a beginner in the early years, I would routinely perform 4 to 5 sets for most body parts. Back then this was the goal; volume training shouldn't be undertaken unless you have at least a year or more under your weight lifting belt, this type of training needs to be cycled to give your body a break from the sheer volume. These are only examples: as you notice this is a huge set difference. Please, understand the numbers here are not what is important. I’m illustrating how over the course of years, your weight training sets can and do change. 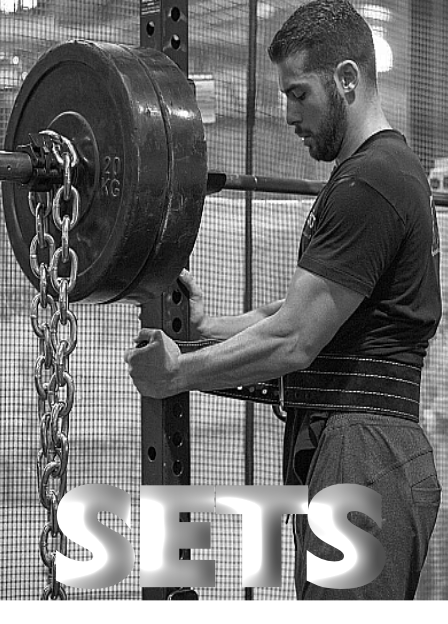 The question of how many weight training sets should be performed in any given work out, should always relate to your lifting level, and what kind athletic goal you set for yourself to achieve! This is only an overview for a target of sets to preform starting with beginners. Beginners , training chest: should be looking at 1 or 2 sets of each exercise e.g. barbell bench press. For a 2nd exercise: e.g. incline dumbbell presses for 1 or 2 sets, these sets and movements are based on compound exercises. If you are young and strong say 17-25 you could try 1 or 2 sets of a third exercise for chest e.g., flat bench dumbbell presses. This will be 4 to 6 total weight training sets, if you’re just starting out this will generally be enough for you to get used to. If you find this is not enough, your intensity level may have to be adjusted. Meaning: Add resistance in slight increments, doing the exercises in strict form or decrease rep speed, all make a difference to the out come. With respect to age and weight training sets, if your brand new to weight-lifting, male or female in your 40's or over 50, you can cut these figures down some; from the beginners set range. In the beginning it makes good sense, to increase your sets slowly. Rest between weight training sets as a beginner, should be in the neighbourhood of 1 to 2 mins. Again, this is a guide when you’re learning if you need more take more. all; play a major part in the efficiency of each set including how well your aerobic capacity is responding to each of those sets. That said: try to stay focused on your rest times, visiting can destroy a great workout. 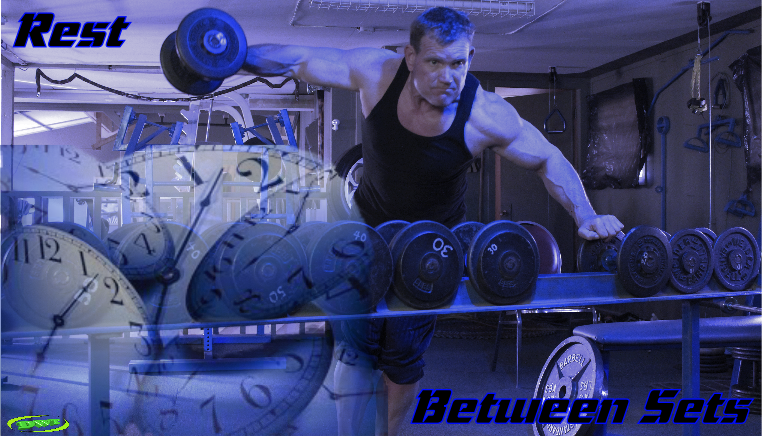 Guard your time against to much, visiting in the gym, as it can be difficult to set this time aside each week. 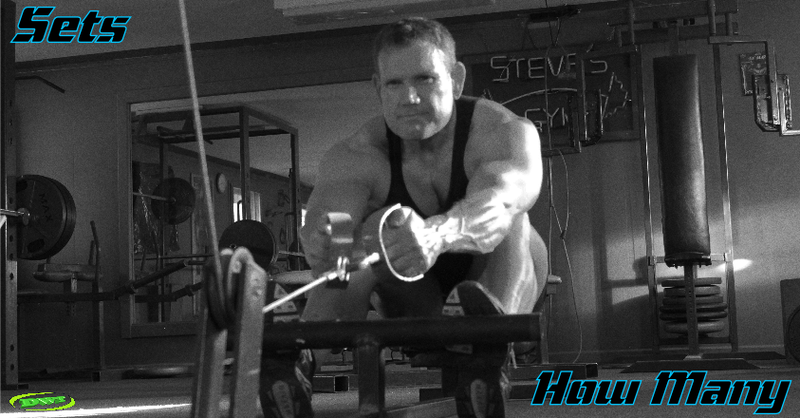 Try to stay focused on every set you perform, this breaks up training monotony and boredom. Early intermediate level training is usually attained somewhere in the 8 - 10 month range of consistent training, again this is a guide, only you know your current fitness and intensity levels; of course age will play a part in this level also. 8 - 10 months is for 18 to 30 years of age. 30 to 45 add 1 to 2 more months to this. If you’re over fifty you might need to add another month or more to the last figure; being honest with your efforts and consistency will help indicate your set range. Time is not what is important... being ready for the next level is. The intermediate set range should be 6 to 8 sets total for smaller muscle groups e.g., arms, shoulders etc. For larger muscle groups like the back, legs, or chest you can experiment with 8 to 10 sets. Nothing is caved in stone, If this is proving to be too much, meaning: your just to exhausted after 4 or 6 sets, that's fine; reduce the totals to what you feel you need. This is where part of the mystique of understanding weight training sets, and how many to preform comes from, it takes time and experience. listening to your body, becomes Paramount in determining these new numbers. The secret to weight training sets and how many is: let your body tell you when you have had enough. This will take you a long way in your enjoyment and development. As you advance further into the intermediate level, rest between sets at this level; of course, depends on athletic and intensity levels. Evaluating yourself at this point to decide if you should advance, is a should do if you haven't! Ask yourself, has your athletic level increased enough to advance? If your a hard gainer, give yourself more time, before considering advancement. Rest between sets should be between 40 to 60 seconds, this may vary a little from each person, don’t sweat it: if you are not fitting into the guide as I’ve laid out, make at least a 75% aerobic recovery before moving onto the next set. Resting for 40 - 60 secs., is for smaller muscle groups; other larger body parts like legs and upper-back can be up to a minute and a half to recuperate between sets. Note: I was naturally a hard gainer, only average in the cardio department. Often I would take 11/2 - 2 mins., on heavy leg days like the squat, bent rows, dead lift, etc. These are very demanding exercises: especially, at an advanced level... take what you need, in time rest times will improve, it just takes conditioning. For those of you preforming circuit or cross training conditioning, try experimenting in the beginning with 20 to 30 seconds between sets or until your strength and endurance in lifting and cardio increase, then slowly work at decreasing this time frame. Depending on your conditioning level, some advanced circuit trainers take little or no rest and preform 2 to 5 or 6 sets in a row and then take a 4 - 5 minute rest to accommodate for the intense work load, and then repeat this two or three more times. This type of training is to increase endurance levels, with higher rep ranges of those in the neighbourhood of 15 or more per set. Experiment with these time frames until you find the one that best fits your physical or sports related level, sets as related to circuit training are for overall conditioning, and athletic sports performance. When to Advance Your Sets? My nephew was asking me some questions on weight training sets after answering, I assured him by just arriving at the gym doors for each work out; you have completed 70% of your weight training task. Energy levels you have left at the end of the day from our jobs and daily lives will also play a major role in how well you manage your sets for each muscle group. After the year and a half mark of training, experience will help dictate set ranges. Only you can know if you’re ready to advance from this point. At this point you may want to add 1 or 2 sets to the smaller muscle groups, and 2 more to the larger muscle groups, depending on your goal. 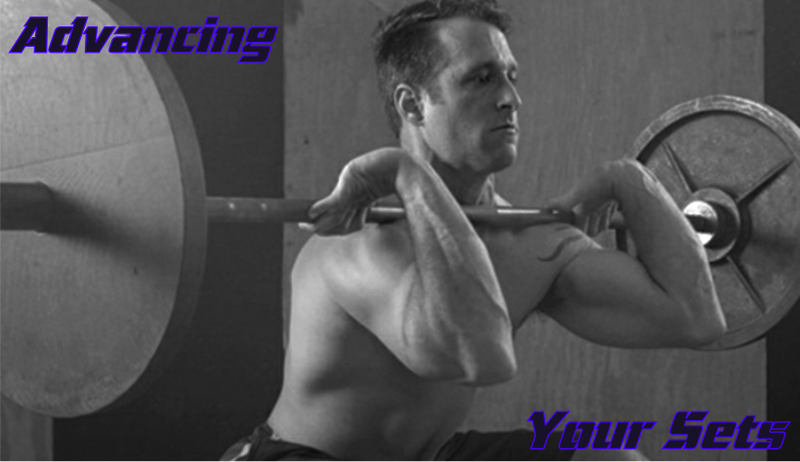 As you draw closer to this time period in your weight training, you will now be strong enough mentally and physically to handle an increase in intensity and work load. Your rest intervals should be around one minute or less, of course; size, strength/athletic ability and age; will all have an affect on these figures! Again don't fall into the mindset, of thinking, you have to qualify within the set ranges I've mentioned. 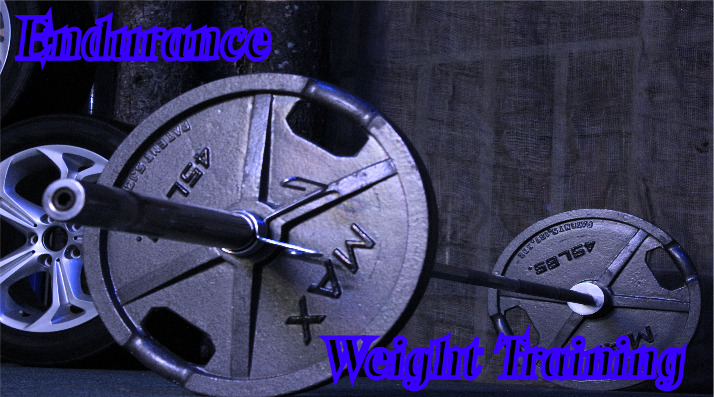 The more fun and rewarding that you make your weight training, ultimately decides training progress and longevity. As a general note: I found that smaller muscle groups tend to need 8 to 10 sets, once your conditioned! This seems to be where the sweet spot was for me personally. Bigger body parts such as legs and back, I may do a few more sets for, if I felt they needed it. 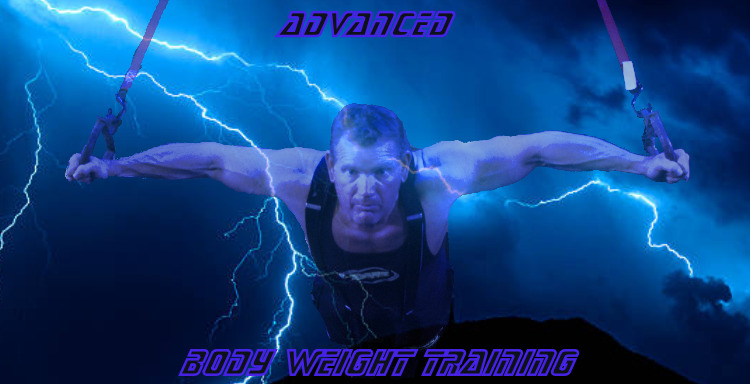 After a long day on the construction site, my weight training sets will vary depending on energy levels at days end, each person's life and lifestyle is different, perform what you feel you can. Always visualize and stay focused on your goal. How To Know When Enough Sets Have Been Performed! Each day is different, I’m always changing what I’m doing, so it’s tough to monitor this exactly. With that said; the most important thing I’m after is: how my muscles are feeling as I progress through the workout. Am I feeling strong, do I want to continue on? if I am, then I might; but sometimes I don’t! Meaning: I simply take a more instinctive approach to my sets if I find myself tiring quickly. Other signs in my training where I could be reaching my set limit is, I often notice my body begins to lose the ability to sweat properly, meaning: my skin begins dry a little over the course of the workout. When I’m not producing sweat through the sweat glands like I was closer to the start of the workout. This can another sign that the body has had enough. 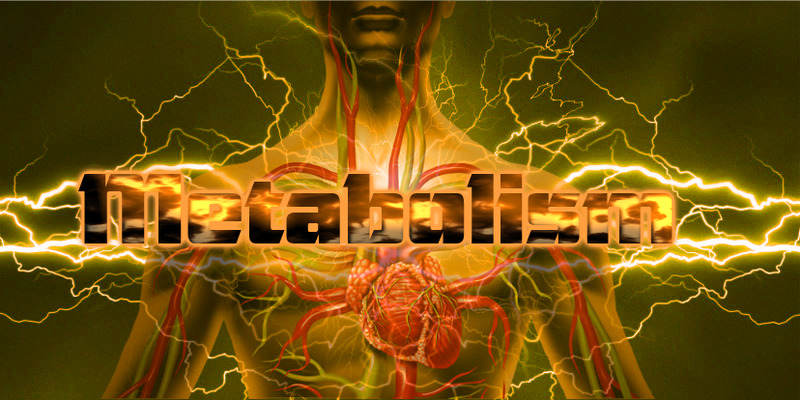 Losing ability to control the weight properly in certain exercises, as exhaustion sets in, is another sign you’re probably approaching the end of the muscles ability to produce much more. Ultimately, this will vary for you, but... when your quads begin to feel rubbery and their ability to contract properly has slowed in its ability to pump more blood into this area, this usually is a telltale sign that the muscle group is done. Going beyond this point is generally only counter-productive if you’re trying to achieve muscle size and separation. Preforming the right amount of weight training sets is not as important as the attention given to form and intensity of each contraction.